We are very pleased and excited to provide details of the re-opening event at the Cruck Cottage on Sunday, 3rd June. 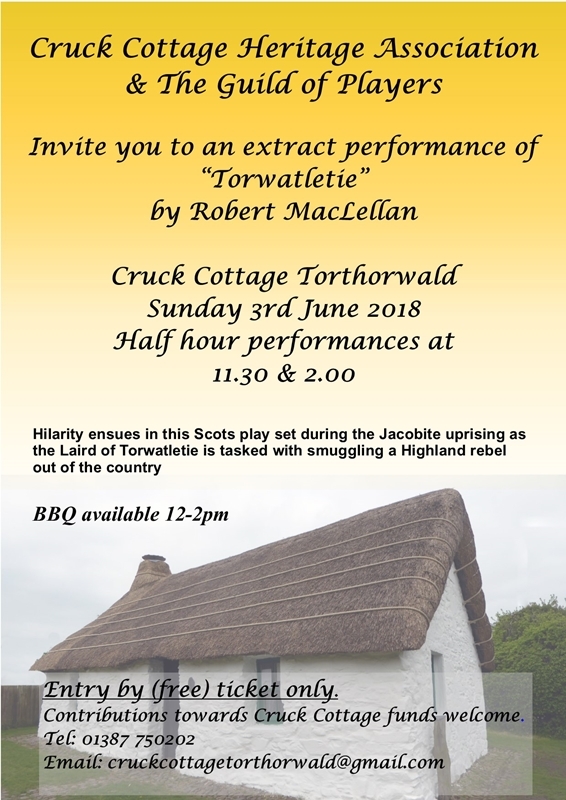 Our friends at the Guild of Players have kindly agreed to perform extracts from their latest production, ‘Torwatletie’ which is set in Galloway in the 18th century. Unfortunately, for insurance purposes, we have to limit the numbers at each performance to around 30. Please reserve your tickets either by phone or email, and collect them at the cottage on the day. There will also be a barbecue available from 12md.